"We sleep like dogs, eat like pigs, dress like angels." 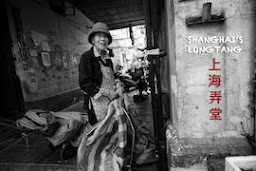 The lives of the itinerant Chinese opera artists are extremely hard, and none as much as those performing in Thailand. 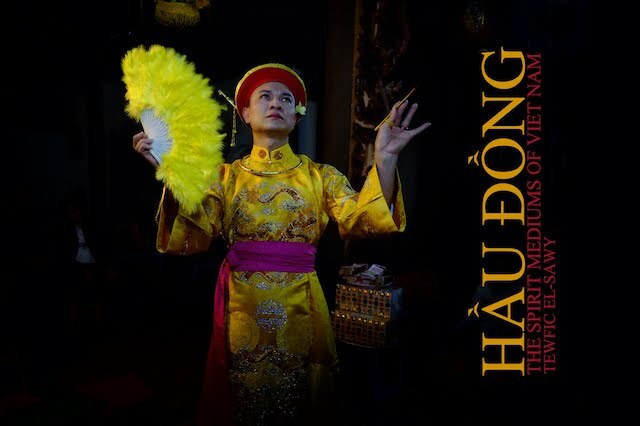 They are part of a small community trying hard to preserve a culture and heritage dating back to the seventh-century Tang Dynasty (618 to 907), which makes it one of the oldest dramatic art forms in the world. According to population and demographic studies, around 14% of Thailand's population is ethnically Chinese, which makes Thailand one of the world’s largest Chinese communities outside China. Many of the artists in these Thai troupes cannot speak or read Chinese, and deliver their lines -usually in Teochew (a dialect originating in Southern China)- having learned them phonetically. Years ago, itinerant Chinese opera troupes were common in Thailand, traveling to bring the entertainment to the inhabitants of small villages. With interest dwindling in this traditional art form, life is hard with an average monthly wage for a performer between the baht equivalent of $280-$500. 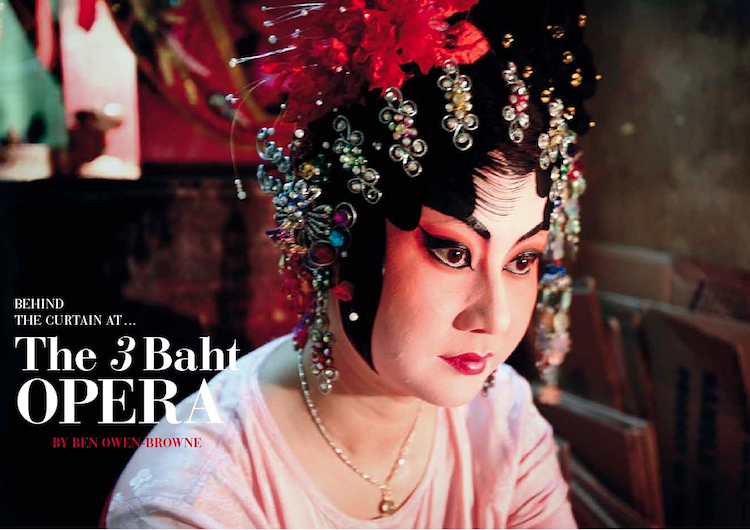 Ben Owen-Browne's The 3 Baht Opera is a window unto the stage of such an itinerant opera troupe in Bangkok. According to his gallery, he tells us that he was invited to attend one of these performances, presumably during a Hungry Ghost festival. He also tells us that he "...strayed unto a place where a bunch of actors were performing an endless elegy for themselves, watched by no one else except ghosts". Ben Owen-Browne is a British wedding photographer, previously living in Bangkok, and now in Vienna, Austria. He also worked in most aspects of photography; magazine covers, editorial, cookery books, travel, fashion, corporate events, jewelry and coffee-table photo books.